Judis: What’s your assessment of the Obama administration’s intervention in Syria. How has it gone? Is it a success or a failure? Landis: You know, I think that in one important respect, it’s a success. That’s because he kept his foot on the brakes and resisted what he has called “the playbook” of foreign policy circles in Washington, which is to get sucked into these civil wars in the Middle East. There is no way that the United States was going to solve the Syria Problem in any constructive way – and just keeping us out of it to the extent he did was a boon. Everyone wanted us to solve their Syria problem, whether it was Lebanon or Israel or Turkey or Iraq, because they couldn’t figure out how to do it themselves. Saudi Arabia, the Gulf countries, they all had different visions of who we should be helping and what kind of Syria would come out of the other end of the meat grinder. And had the United States gotten in there, it would not have made a better sausage. We’ve seen that regime change has been a bad idea. Judis: But Obama did intervene. In 2011, he called for Syrian President Basher al-Assad to step down. Didn’t saying that appear to commit the United States to do something about it? Landis: It did, and it was a mistake. Obama’s statement that Assad had to step aside was an aspirational statement. He never intended to commit America to carrying it out. It is easy to understand why he said it. The whole world was looking at America during the early days of the Arab Spring to see what its policy would be. America was torn about the meaning of the Arab Spring uprising. Both the media, western pundits, and Arab activists in the Middle East had convinced the Western world that the Arab Spring was about democracy. They said it was 1848, it was Paris 1968, it was the fall of communism in 1990. * The metaphors could go on and on. Journalists were grasping for every metaphor and similar episode in Western history to demonstrate that the Arab people were finally rising up against their bad governments to demand democracy and be more like the West. In his remarkable 1991 book The Third Wave Samuel Huntington argued that the modern world had seen three moments of liberalization and democratization. Western observers and Arab liberals alike hoped that the uprising, which they named a “Spring” to confirm their aspiration, would herald in a fourth wave. The only problem is that the Arab uprisings were not primarily about democracy or even liberalism. Democracy was not a central demand voiced in the slogans of the demonstrators. “Dignity” or “karama” in Arabic and “freedom” or “hurriya” were central words used from Tunisia to Syria; so were phrases such as “down with the regime,” and “get out, Bashar.” Demonstrators were unanimous in wanting to get rid of the oppressive and corrupt dictators that ruled over them. The benefit of these general demands was that Islamists, who wanted a caliphate or Sharia law, could use them as readily as liberals who shared western values. Landis:[The administration] bought into this notion that they should put their shoulder to the wheel of regime change in order to help be a midwife to this democracy movement. The problem was that it was not a democracy movement. It was a change movement. People wanted dignity but it was a very disorganized and chaotic movement. The trouble is that in each of the Arab countries, once you destroy the very fragile state structures that have been assembled since World War I and the dismantling of the Ottoman Empire, you don’t get a George Washington bringing together the 13 colonies. You get fragmentation and lots of warlords and emirs. Nationalism is not a strong enough identity to bind the people of Libya, Yemen, Syria, or Iraq together. Or the Palestinians, for that matter. Instead, subnational and supranational identities emerged among the people of each country to undermine common national sentiment. Loyalty to clan, village, region, tribe and religion have bedeviled the Arab uprisings. This is why the opposition movements in Libya or Syria have been so fragmented. It is why thousands of militias formed in Syria. The US was powerless to unite them. This is what America faced in Iraq when it destroyed Saddam’s regime. And it’s what happened in Libya. In Libya, western politicians argued that the opposition was sufficiently united for us to throw our weight behind it. We convinced the United Nations Security Council to declare it the legitimate government, based on this false assumption, and to shift all the money that belonged to Gadhafi’s state to the Libyan opposition. Of course, the opposition was not united. We just wanted it to be. It was a bunch of propaganda. And that’s the same propaganda we fell for in Iraq with [Ahmed] Chalabi. Judis: So in the sense of seeing America’s role in the region as promoting democracy and regime change, the Obama administration was continuing what George W. Bush did in the region. Landis: Our national religion is democracy. When in doubt, we revert to our democracy talking points, which is what Obama did. It is a matter of faith. He didn’t know what the hell was going on in Syria. I was invited to participate in a number of CIA confabulations and policy “think-out-of-the-black-box” hoedowns during the first months of the uprising. The intelligence community was unanimous in predicting that Assad would fall quickly. People were lost. Everyone was simply projecting their own interests and pet theories onto the uprisings. It was only natural that our aspirations would overtake fact-based analysis. We didn’t have many facts. The situation was moving so fast. We were facing unprecedented changes, so it was easy to get caught up in imagining all sorts of transformations. Obama also felt pressure from domestic interest groups and Middle Eastern allies to get out in front of Assad’s fall. In Egypt, Obama had been criticized for backing [Hosni] Mubarak until the eleventh hour; he didn’t want to make the same mistake in Syria, and he didn’t have to. Unlike Egypt, Syria had been a thorn in America’s side. It had been an enemy since opposing the United States’ decision to support the creation of a Jewish state in Palestine. Thus, Washington supported several coup d’états in Syria beginning in 1949. When successive coup attempts in 1956 and 1957 failed, Damascus veered squarely into Moscow’s sphere of influence, never to come out of it. Syria’s military is entirely armed and trained by Russia. The U.S. has imposed sanctions on Syria since the 1970s. For its part, Syria has consistently supported America’s enemies: Hezbollah, Palestinian groups, and the Islamic Republic of Iran. To add insult to injury, Assad actively opposed America’s occupation of Iraq. For these reasons, Obama’s decision to demand that Assad step aside was a no-brainer. Everyone wanted to speak about the “Syrian people,” but there was no “Syrian people” who speak with one voice. Syrians are deeply divided along religious, ethnic, class and regional lines. Anyone who had lived in Syria for a significant amount of time understood that lots of Syrians would support Assad to the death, especially if they felt that Islamists might come to power. I had written several articles about the Syrian opposition before 2011, and the conclusion that I had come to was that they were hopelessly divided and back-biting. They hated each other and would never agree among themselves on an alternative to Assad. The liberal, pro-Western class in Syria was small. It would be quickly destroyed between the hammer of Islamist groups and the anvil of Assad’s security apparatus. Would Arming the Rebels Have Helped? Judis: So by setting up the Syrian National Council in August 2011 as a transition to a new Syrian regime, were Obama and Secretary of State Hillary Clinton fostering illusions? Landis: Yes. We were gambling that we could create a unified Syrian opposition. And Syrian opposition people were telling us that Syria was not like Iraq or Lebanon — that the Syrian trading mentality was one of compromise and moderation, and that Syrian Islam was moderate as well, dominated by Sufis and opponents of Salafism. Extremism would not prevail, they insisted. Syria would neither radicalize nor fragment. President Obama bought into the aspirational talking points about Assad’s likely fall as well as the desire to support democracy, human rights and opposition to dictators, but he was adamantly opposed to involving the US in another regional civil war without a clear exit strategy. He put his foot on the brakes as soon as it became clear that Assad wasn’t going to go quickly. He refused any demand that the U.S. spend real money. We may have ponied up several billion dollars a year for Syria between humanitarian, non-lethal, and military support to the opposition, but we were not going to do an Iraq, where we were spending $5 billion dollars a week. Judis: Hillary Clinton’s argument was that if we had armed the so-called moderate rebels in 2012, as she and David Petraeus advocated, the results would have been different. 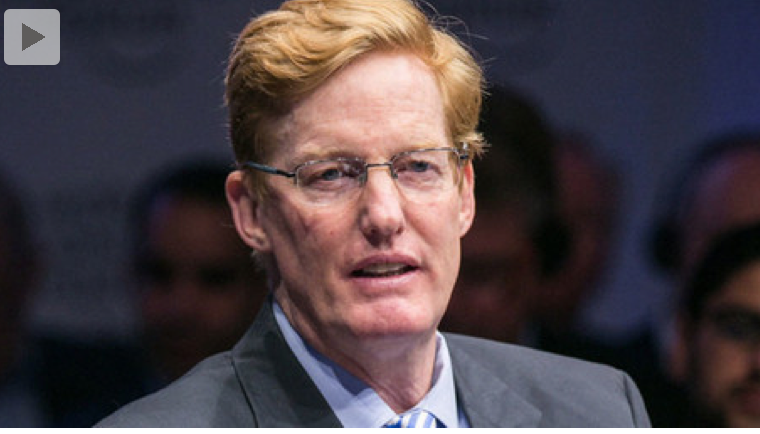 Landis: Syrian rebels were going to radicalize regardless of American largesse or arms. The notion that the United States could shape the Syrian opposition with money is spurious. Many activists and Washington think tankers argue that the reason the radicals won in Syria is because they were better funded than moderate militias; Gulf states sent money to radicals while the United States and Europe starved moderates. No evidence supports this. Radicals got money because they were successful. They fought better, had better strategic vision and were more popular. The notion that had Washington pumped billions of dollars to selected moderate militias, they would’ve killed the extremists and destroyed Assad’s regime, is bunkum. Judis: Yes, that’s the argument that Clinton was still making in some form last year. Landis: That logic was pie in the sky. There’s nothing to support that logic. If we look across the Middle East, every time a regime has been destroyed, whether in Iraq, Libya, Yemen or Afghanistan, there has been a grace period of three to six months during which the whole society is, in a sense, in shock and has hunkered down to see what regime change would bring. Will the Americans magically provide substitute state structures and services? Then when they realize that the U.S. is clueless and chaos prevails, they begin to get organized. Islamists push aside civic groups preferred by the U.S. because they are willing to fight. They’ve got an ideology and a plan. They have good fighters and a deep back bench. Al-Qaeda and other radical groups have been fighting to overthrow the regional order and its secular regimes for decades. Assad managed to corner the market on secular nationalism and notions such as the separation of church and state. Moderate nationalist elements among the opposition failed to put forward a compelling vision of an inclusive, non-Sharia-based Syria that would treat religious minorities and non-Arabs as equals. None of the opposition groups championed secularism. Islamists won the ideological battle for hearts and minds and the black flag of Islam was quickly raised above that of the Syrian tricolor among the dominant opposition groups. America did try to organize the “moderates.” America failed not because it didn’t try, but because its moderates were incompetent and unpopular. As soon as they began taking money and orders from America, they were tarred by radicals as CIA agents, who were corrupt and traitors to the revolution. America was toxic, and everything it touched turned to sand in its hands. It pursued three different strategies to build a moderate opposition in Syria and each failed more spectacularly than the one before it. Secretary of State Hillary Clinton did everything she could to get 97 nations together as the Friends of Syria and begin to offer diplomatic and financial support to the Syrian opposition at conferences and international meetings. She sought to mold the opposition into something that America and the West could get behind. Something moderately liberal, open minded and nationalist. With the help of Qatar, she nurtured the emergence of the Syrian National Council to act as the political representatives of the opposition. In each of their several elections, the Muslim Brothers won because they were the best organized. America would find an excuse not to recognize its leadership. America’s effort to shape and promote a military strategy for the opposition failed even more spectacularly. It promoted the construction of a Supreme Military Council in 2012 to act as the military counterpart to the Syrian National Council. The Supreme Military Council of the Free Syrian Army was led by a Chief of Staff named Salim Idris, a portly defector from the Syrian Army with zero charisma. He oversaw multiple warehouses jammed with equipment supplied by various intelligence agencies that he could dole out to the moderate militias in an effort to purchase their loyalty and theoretically bind them together under his leadership. He never gained any authority over the swarm of militias he helped to outfit. When radical Islamist militias decided that he wasn’t generous enough, they marched on his warehouses and plundered them. They took all equipment and everything that had been supplied by the United States. They stripped the men guarding the warehouses down to their skivvies, hogtied them, and left them rolling on the floor. Not one Free Syrian Army militia came to his defense; instead, they mocked his misfortunes on social media. Idris had to hightail it back to Turkey, where he blamed… who? Washington. Idris fell back on the same tired excuses that Syrian activists had practiced for their own failure: Washington wasn’t generous enough. But the truth was just the opposite. Washington had given him too much materiel and it was now in the hands of al-Qaeda and friends. In Iraq, where the U.S. was infinitely more generous in arming bumbling “moderates,” we all know the shameful story of how ISIS stripped Iraq’s American trained brigades of hundreds of tanks, Humvees and artillery pieces with hardly a shot fired. That was a terrible embarrassment for the CIA and for the United States. And so they came up with a new strategy, which was to contact scores of militia leaders in Syria directly. We built them up for quite some time, until March 2015, but those guys, most notably the Hazm Movement and Jamal Maarouf’s, the Syrian Revolutionaries Front, got crushed by Nusra, the al-Qaeda affiliate in Syria and Ahrar al-Sham, a Salafist ally of Nusra. Once again, America’s proxies either joined the jihadists and other Islamist groups or they abandoned the battle field and left arms to be gobbled up by the radicals. Critics argued that the U.S. was effectively arming al-Qaeda, even if unintentionally. The final major effort by Washington to help the rebels was an official Department of Defense “train and equip” project, for which 1.5 billion dollars were earmarked. We decided we were going to bring individuals out of Syria that could be properly vetted, train and armed training camps situated in Jordan and Turkey. These brigades would be controlled directly by Americans. But we only trained and equipped 65 guys in Turkey, and when we sent them back, they were destroyed! The commander of our vetted troops defected to al Qaeda with arms and with many of the best trained men. So all three strategies for uniting, arming, equipping, and training anti-Assad rebels failed miserably. The radicals won not because America ignored the moderates and starved them. They won because they had better fighters, who were more committed and better led by seasoned fighters who had a vision of the sort of society and government they wished to build. They dominated the battlefield. That’s why ISIS swept through the area Eastern Syria in 2014 and gobbled up most of Sunni Iraq without firing a shot. Islamism proved to be the only ideology capable of uniting Syrians on a national level, binding rebels together from north and south of the country. The so-called moderates were simply local strongmen who gathered around themselves cousins, clan members and fighters from their village and the village next to theirs. But go two or three villages away, and they were viewed as foreigners and troublemakers, who were venal and predatory. They were warlords. Few could gather more than a thousand men around them. Most a lot less. They didn’t have an ideology and couldn’t articulate a vision for Syria. This is why America’s effort to unite the Free Syria Army amounted to a hill of beans. Syrian society is fragmented. Assad and ISIS both deploy lots of coercion, corruption and clientelism to hold their states together, whether they profess ideologies of secular nationalism or Islamic Caliphalism. America cannot buy its way to success in such an environment. Judis: Even those who didn’t favor arming the rebels in 2012 might still say that when Obama laid down the “red line” on Assad’s use of poison gas in 2012 and then failed to follow through a year later with an air attack against the regime, the United States lost an opportunity to cripple the regime and force some kind of compromise. Landis: The people who were filled with hope that America would somehow destroy the Assad regime and put Syria back together constantly projected their wishes onto Obama. He was saying from the beginning that he was not going to get involved, that America would not lead in Syria. And he constantly iterated on the redline that the United States would do some punitive strikes but would not try to change the balance of power in the civil war. What he did say he was going to do was uphold the internationally accepted norm that chemical weapons and weapons of mass destruction should not be used, and he did that. Judis: So Obama was being consistent when he rejected air strikes and opted instead for negotiating with the Russians and Syrians? Landis: Totally. If he had not negotiated with the Russians and Assad to get those things out of the battlefield, if he had instead chosen to bomb 200 Syrian soldiers and blow up some sites of chemical weapons in a punitive raid, it might have had no effect. Or if, let’s say, he had destabilized the Assad regime and it had fallen, by that time the radical militias were the dominant militias and they would’ve taken Damascus! You would’ve had 1000 different militias grabbing chemical weapons from the various places they were hidden and stored around Syria. The whole Middle East would be a giant silo for saran gas and nerve agents of every kind! It would’ve been a disaster. So Obama’s achievement of getting rid of those chemical weapons was a great boon to the Syrians, to the Middle East more generally, and to the West. Judis: Since then, has the administration’s strategy has been implicitly to leave Assad in place and to concentrate instead on defeating ISIS? Landis: Yes, because it became increasingly clear that if Assad were destroyed, radicals would likely take over. You could possibly have al Qaeda, or later ISIS, take Damascus. Had a major Middle Eastern capital fallen to either, what a disaster it would have been. At least in Iraq, we have been able to build up the Iraqi army to retake Mosul, a city less than half the size of Damascus. In Syria, who could we arm? We are finding it difficult to retake Raqqa from ISIS, a dusty provincial capital of a few hundred thousand people. Would the U.S. army try to retake Damascus alone? Would it try to reconstitute the Syrian Army to serve as a partner? Imagine the embarrassment of such a solution. Were ISIS to have ensconced itself in Damascus, Lebanon would surely have fallen and Jordan would’ve been up against it. Talk about dominoes. Saudi diplomats, Syrian activists and many analysts in Washington insist that to destroy ISIS, the U.S. must first destroy Assad. They argue that by leaving Assad in place, the rest of the Middle East is going to fall apart because Assad created ISIS. This is spin. Assad did release most Islamists from his jails in 2011 and several made their way into ISIS’s ranks, but they are chicken feed compared to the top cadres of ISIS who were released from American-run jails. Caliph Baghdadi himself was held in Iraq’s Camp Bukka. He, of course, is the leader of ISIS. One might also point to the two Moroccans released from Gitmo who made their way to Syria, started militias and killed hundreds of innocent Syrians. Using the released-from-prison criteria, one should sooner argue that ISIS was created by the United States than Assad. I haven’t heard anyone in D.C. arguing for the destruction of the American government as a solution to ISIS. The fact of the matter is that radical Salafist ideology has spread from one corner of the Middle East to the other. It is a dominant force in many places where Assad is unknown. Violent regime-change has been a primary cause of the spread of radical Islamic groups, and should not be a viewed as a solution to it. Certainly, bad government, anemic economic growth, oppression and dictatorship must be contributing factors to the popularity of radical ideologies, but the U.S. doesn’t know what the cause of jihadism is. Washington doesn’t know how to get rid of the conditions that produce dictators. Every time we remove a dictator, we spread chaos and multiply jihadists. The answers that Washington has come up with for combating terror and dictatorship in the Middle East have failed. We should stop trying the same old things – regime-change chief among them. Judis: What about the Russian role in Syria? They brought their air force to bear in September of 2015. Landis: Indeed. Russia escalated as soon as they sensed that Assad might fall. So did Iran. Not only does Russia have a major naval base in Tartus and an historic alliance with Syria, but more than that, Syria is the last redoubt of Russian’s major presence in the Middle East during the Cold War. After the fall of communism in 1990, Russia was forced to retreat from the region, but [Russian President Vladimir] Putin is rebuilding. He sees Syria as the key to a much larger sphere of influence to the south of Russia. Syria is centrally located, it sits on the border with Israel and gives Russia a cockpit to rebuild a new security structure in the northern Middle East that extends from Iran to Lebanon. Putin has become a major player on the world stage because of his dominant role in Syria. He has leveraged his position there to negotiate with [Secretary of State John] Kerry over 30 times in Geneva and other places. Russia also has a good argument behind its strategy in Syria. Putin believes that Middle Eastern societies are not ripe for democracy. He has stated that America’s policy of democracy promotion has caused spread chaos and jihadism. He believes that the Middle East needs strong men just as surely as Russia does. Russia knows how to administer that. Whether it’s Erdogan in Turkey, Saddam Hussein in Iraq, or the monarchy of Saudi Arabia, he believes that strong state authority is necessary. Getting rid of the corrupt dictatorial class will not give birth to a Jeffersonian democracy. He has accused America of spreading chaos and radicalism. Putin has said that he is not going to let America do that in Syria because over three thousand Chechen and other Russian citizens are fighting in Syria. He fears that if they come home, they will attack Russians and spread mayhem. Judis: So what does Donald Trump do now? Landis: It’s not easy to make sense of Trump’s foreign policy in the Middle East from the few little one-liners that he’s gotten off. But let me try. He is not a democracy promoter, and he probably shares Putin’s belief that democracy doesn’t fit the region. He doesn’t have a high regard for Muslims altogether. He’s an isolationist. In some ways he’s a throwback to the America Firsters of the 1930s. He only believes that the United States should intervene if it is directly threatened. He is also against regime-change. He formulated his critique of Middle East policy from what happened in Libya, which gave him an easy way to take pot shots at Clinton. He proclaimed Libya was a disaster. What Clinton did in destroying a dictator – even one as nasty as Qaddafi – was to make the situation worse. Regime change was a disaster, he stated. Judis: Didn’t Trump actually start by attacking Jeb Bush and his brother’s invasion of Iraq, highlighting its disastrous consequences? That happened in 2015 in the primary. Landis: He was initially reluctant to criticize the whole Bush legacy, but he warmed up to the task and then he really let it rip. He stated that Iraq had turned into the “Harvard of jihadism.” He was restating the Russian critique, in a sense. He concluded that America shouldn’t do regime change. It should recognize that strongmen are necessary to keep order. In a sense he’s taken the Republican party back to its pre-neoconservative days. One can hear undertones of [former UN Ambassador] Jeane Kirkpatrick in his statements. During Ronald Reagan’s presidency, she argued that there are some dictators that are better than other dictators. * In his case, the others are the Islamists. Therefore we should have stuck with Gadhafi, Saddam and Assad. He also suggested that we should let the Russians take care of Syria. They’re killing ISIS. Let’s team up with them, and leave Assad in power. He may be a terrible dictator but he’s better than the alternatives. So Trump has looked at the Russian playbook and pronounced it smart! Trump’s critique resonated with the American people, who warmed to it. They are tired of paying for misguided foreign adventures. Even [Senator Ted] Cruz, who was following the Bush handbook, reversed himself! Almost all the Republicans started making the Trump argument. It was an amazing about-face. Judis: So do you expect he will continue to look to the Russian playbook when he becomes president? Landis: The trouble is that Trump doesn’t have any isolationists around him. There hasn’t been an isolationist party in America since the 1930s and so he has no isolationist cadres to draw from. We see him drawing from a lot of tough generals for his cabinet. Although they are not neocons, they are certainly in favor of a more robust American foreign policy. They are not isolationists. They are universally anti-Iran; most seem to be anti-Russian as well, despite Trump’s proclivities, so it’s hard to know what he’s going to do. Judis: What kinds of choices does Trump have in Syria? Landis: Many people want to force Russia and Iran out of Syria – at least, that is what they suggest. The only way to do that would be to fire up the rebels. We should not do that. The rebel strategy has failed. We need to come to terms with that. But let me take a different tack in explaining the realities for Washington. What we see happening in the Northern Middle East today is the construction of a new security architecture that is dominated by Iran and Russia. This has happened in large part because of America’s miscalculation in Iraq. When we destroyed Saddam’s Sunni supremacy in Iraq and helped Shiites to power, we opened the way to the formation of a “Shiite Crescent” stretching from Iran to Lebanon. Our stated talking point is that Iran is an aggressive and malevolent power that is forcefully trying to assert itself across the Middle East; it must be contained. But our military strategy is diametrically opposed to our stated goal of containment. Our military strategy has been to help the spread of Shiite and Iranian power. We have poured arms and money into the Iraqi army that is dominated by Shiites. We are bombing ISIS which is the most capable part of the Sunni rebellion. We have thwarted every attempt to overthrow the pro-Iranian government in Baghdad. Russia is doing the exact same thing in Syria. To combat Sunni extremism and terrorism, the US and Russia have aligned themselves with Iran. They are using Shiite dominated militaries and militias to destroy ISIS and al-Qaeda. The Iraqi army that America had trained and equipped was designed to be loyal to an Iraqi constitution and nation that few believe in. It crumbled in the face of ISIS. America did not understand the nature of military power in the Middle East which is based on traditional loyalties, which means defending your sect and your clan and your village or proverbial tribe. The local Shiite militias believe that if they don’t kill ISIS they will be wiped out by them, which they will be. They are not driven by religious fervor, but by communal loyalties around a shared religious culture. In some respects, religion is the new ethnicity in the Middle East. With the collapse of secular dictators that have held sway since World War II, religious identities have become ever more bound up in national identities. Judis: But the Sunni countries are not going along with this change in power relations. Landis: The Syrian civil war, like that in Iraq, quickly became a sectarian war as each side tried to mobilize support along religious lines. Both sides fear that the other will carry out ethnic cleansing or genocide. The geo-strategic competition between Iran and Saudi Arabia has only exacerbated this polarization along religious lines. Each regional power has funded or trained sectarian militias. But along the geographic arch stretching from Iran to Lebanon, Shiites are winning out, and it is making Sunnis apoplectic. It seems to them as if the world is being turned upside down. The Arab world was always a Sunni world. The Ottoman Empire was a Sunni Empire. The Shiites were the dirt farmers and officially discriminated against. To have the underprivileged rise and become the dominant force in politics in Iraq, Syria and Lebanon is shocking. To many it seems to defy a divine order. In Iraq, many Sunnis confronted the new reality with denial. They refused to recognize that Shiites made up the majority of Iraq’s population. Many Shiites were accused of being Persians and not true Iraqis. The derogatory language used by much of opposition to refer to Shiites and Alawites in Syria reveals how sectarian the struggle has become. Militia leaders do not view Shiites as true Muslims; rather, they accuse them of being “Arfad” or “rejecters,” who denounce the founding fathers of true Islam. And because they have the wrong religion, they are commonly seen to also have the wrong ethnicity. A common epithet for Shiites in Syria is “Majous,” which can translate to “Magi” in English. It is used to suggest that Shiites are crypto-Persians and not true Arabs. Hezbollah is almost universally referred to in opposition videos coming out of Syria, not as “The party of Allah,” as its name would correctly be translated, but as “The Party of the Devil,” or “Hezbolshaitan.” Shiites are frequently described as “najis” or “filth.” This is a term from the Qu’ran that carries religious significance as impure. A number of rebel leaders in Syria have publically called for purifying Syria of the Shiite filth that defiles it and of driving the Alawites into the sea. Of course, some of this rhetoric can be dismissed as simple propaganda meant to whip up fighting spirit. All the same, this conflict over religious identity has become integrated with a conflict over national power. This is a dangerous situation because it can so easily result in ethnic cleansing and even genocide. We have witnessed similar ethnic and religious conflicts taken to extremes in Central Europe during World War II when six million Jews that were destroyed in the name of nationalism and when an estimated 35 million people were ethnically cleansed. Judis: And why are the Shiites winning out? Is it all because of America’s inadvertently helping them against their enemies? Landis: Yes, Shiites are winning in the northern Middle East. They are winning for four reasons. When western intelligence agencies initially predicted that Sunni rebels would win, they made the common mistake of viewing Syria as a discrete country bounded by impermeable borders. They assumed that because Sunni Arabs make up 70 percent of the Syrian population and Alawites only 12 percent, Sunnis would win. The Syrian struggle, even if it turned into a war of attrition, would favor Sunnis who had larger numbers. But this turned out to be a mistaken calculation because the entire region became a battlefield. If we count the sectarian balance of the Arabs who live between the Mediterranean Sea and the Iranian border, Shiite Arabs predominate. The Shiite Arabs of Lebanon, Syria and Iraq exceed the Sunni Arabs of the same region in numbers, even if only slightly. I would argue that this is part of the explanation for why the Sunnis are losing today. Shiites have greater numbers. Hezbollah and Iraqi support for Assad has also been crucial to the survival of the Syrian Arab Army. This is not to mention the critical support of Shiite Iran, which has been overwhelming. All believe that if the Shiites allow the Sunnis to cut their “Shiite Crescent” in two by destroying Assad’s hold on Syria and imposing a Sunni ascendency there, they will all be greatly weakened. They cannot allow their Gulf, Israeli, and Turkish enemies – not to mention the “West” defeat them. This is the “conspiracy” that Assad and the others constantly refer to. When the Sunni militias embraced Salafi-jihadism , that precluded whole-hearted Western support and ultimately caused Obama and others to turn away from them. As the the United States has retreated from its role as policeman of the world to concentrate on the regions of priority to it, powerful countries are again reasserting zones of influence. In this case, Iran and Russia are claiming the Syria-Iraq-Lebanon corridor. This “Shiite Crescent,” for lack of a better term. Judis: But isn’t it dangerous to allow Russia and Iran to spread their authority? Landis: Analysts in Washington are telling us that the United States must destroy this new Iranian-Russian arc of influence. The problem is that, with America’s help, Iran and Russia have consolidated their power in the region. The only way to destroy it would be to fire up the Sunni insurgencies that are now largely destroyed. This would be a mistake. Not only would it fail, but it might also lead to the ethnic cleansing of Sunni populations if passions are not cooled and stability restored. Judis: And does the recent agreement among the Russians, Turks, and Syrians signal further movement toward Assad reconquering Syria and Russia consolidating its place in the region? Landis: Yes, it does. Only last week Turkey, Russia and Iran issued a joint statement to the effect that everyone must respect Syria’s sovereignty. With this statement, one must conclude that Turkey is prepared to throw in the towel on the Syrian opposition in exchange for Assad helping to thwart the emergence of an independent Kurdish state in Northern Syria. Judis: So what does this mean for a Trump presidency? Landis: The question is whether Trump should resign himself to this new security architecture — to the fact that Iran and Russian are going to be the dominant players in the northern region. I think he has to concede this role to Russia. First, Syria has always been a Russian client. Second, President Obama has already made this decision. When the Russians jumped into the Syrian war in 2015, Obama declared that the United States would not fight a proxy war with Russia for Syria. The moment he said that I knew that the Syrian rebels were finished. The writing was on the wall. Only U.S. escalation could have stopped Assad’s military from making a comeback. The present critique among some think tankers in Washington is that Assad is too weak to reconquer Syria, so the United States will have to step in, particularly if it wants to defeat ISIS quickly. They argue that Syria is a land of many different social and cultural environments. The Century Foundation, the New America Foundation, and the Center for a New American Security have published policy papers advocating in one way or the other that the United States keep special forces on the ground and reinforce regional rebel groupings. They envision carving out autonomous areas that would give the U.S. leverage and presumably force both the Russia and Assad to the negotiating table. They refuse to say that they are for partitioning Syria. Instead, they talk about a framework of autonomous regions. But in the end, it is all pretty much the same thing. It’s about retaining control over areas of Syria to give the US leverage. Assad is on his way to reconquering Syria one village after another. The insurgencies that are still there cannot hold up against an army that has Russian backing. For America to give Syrian rebels hope that they can hold would be a deception. It would simply extend the killing and prolong the civil war. The coalition around America including the Gulf states and Turkey have poured over $20 billion into Syria to arm the rebels. If they hadn’t injected that money, Assad would’ve won a lot more quickly. Fewer Syrians would have been killed. And many fewer Syrians would have fled their homes. Judis: So let’s return to Trump. What can he do? Landis: Trump ultimately needs to bite the bullet just as Obama did and resist getting sucked into a very fragmented society and civil war. The Russians and Assad are going to re-impose the Assad state over Syria. That is of course a very brutal reality, but at this point, the majority of Syrians probably want stability and security. They are willing to bow their head to any authority that can offer it. America is not going to change that reality so it shouldn’t keep the embers of this revolution alive. The dilemma for the next administration will be how to position itself vis-a-vis Assad’s Syria. Should it simply turn its back on Syria and force Russia and Iran to rebuild it? Should it continue to impose crushing sanctions on the regime? This might be emotionally satisfying. We could preserve our taking points, which are that Syria should be a democracy and that we do not support dictatorships. I just attended a conference at the Baker Institute where the attitude of many analysts was to let Russia and Iran choke on Syria. Let’s see if we can turn it into a swamp for them, seemed to be the prevailing attitude. They want to punish Iran and Russia. But this condemns the Syrians to prolonged deprivation and would ensure that many refugees never go home. Alternatively, we could try to achieve some modest goals by offering sanction relief. After all, America will not be a big player in Syria. It renounced that role. What could the United States hope to achieve? One possibility would be to get Red Cross observers into the prisons in Syria to catalogue prisoners and alleviate the worst abuses we know are taking place there. We could help with education. Any future hope of rebuilding civil society and democracy in Syria will come through education. What about helping to preserve and rebuild the historic downtowns destroyed in Aleppo and Homs? What about world heritage sites, such as Palmyra? Should the U.S. try to do these things, all of which would require some level of engagement with the Assad regime? Or do we keep our “hands clean” and say, “screw Syria?” That is our choice. It is not a good choice, but I think there is only one correct answer. The sooner we come to terms with our inability to change the regime in Syria, the sooner we will be able to do some good, even if it is modest. Syrians have experienced enough suffering and deprivation. * In 1848, anti-monarchical revolutions swept through Europe. They were put down, but were the precursor in several countries to parliamentary government. In 1968, a revolt against Charles de Gaulle’s presidency began among college youth and spread to the working class, eventually leading to de Gaulle retiring. * In 1979, Jeane Kirkpatrick wrote an influential essay, “Dictatorships and Double Standards,” in which she argued that the United States should not hesitate to back an authoritarian regime if the alternative were a communist one. israel probably knew that Putin will not ask his soldiers to fire on Israeli jets. Hat’s off To Josh for the best unbiased analysis I have ever read on “what really happened in Syria” over the past 6 years. Also, excellent advise on how to best move forward. 6. The regime, by turning the revolt into armed conflict, quickly turned the civil war into regional sectarian conflict, which it knew it could win without the US direct intervention. At the end, the radical Islamists took control over the opposition because they were better fighters, more organized and more ideological, but they would never be supported militarily by the US. The regime is winning because it managed to bring even better, more organized and more ideological fighters from Lebanon, Iraq, Afghanistan who ARE supported militarily by Russia. Militarily, the regime side is the stronger side, and it won. S-400 In Syria are only to defend bases where Russia is stationed and cannot be used to shoot down anything without the Syrian government saying so as they have no implemented a no fly zone. All the rest has controlled by the SAA! Targeting the Mezzeh military air facility by Israel has been another provocation to spoil the Trump’s Foreign Policy. At the right time and place, Israel will receive a painful response and would remain silent! Good post by hopeful. The problem is that Syrians are all over the world now and are deeply divided and what unites each faction is hatred for the other faction not big principles and national interests. Another problem is the influence of Wahhabi Islam among millions of Syrians, many have PhDs and have professional degrees but they act like Isis and Nusra sympathizers with suits. There are also many educated alawites and Christians who with a straight face insist that Assad is a good leader and should stay in power !! Do not assume that every suicide bombing in Syria is done by Isis or Nusra, rebels are in bed with both and militant ideology is widely accepted by many Syrians today. Winning the big battles will not stop suicide and terrorist attacks in Syria, those attacks are seen as acts of revenge and have sheikhs ready to justify them with support from a number of media outlets which lie as often as you breathe. I read one post saying that if an “proration” kills innocent civilians they go to heaven and have a better life in eternity which means that terrorists are actually doing their victims a favor !! could you assume responsibilities of the consequences and outcomes of your think tank, which caused the destruction of other nation? Tucker Carlson Tulsi Gabbard MUST SEE FULL Interview: Arming Our Enemies? In the valleys between Damascus and Lebanon, where whole communities had abandoned their lives to war, a change is taking place. For the first time since the conflict broke out, people are starting to return. But the people settling in are not the same as those who fled during the past six years. The new arrivals have a different allegiance and faith to the predominantly Sunni Muslim families who once lived there. They are, according to those who have sent them, the vanguard of a move to repopulate the area with Shia Muslims not just from elsewhere in Syria, but also from Lebanon and Iraq. The population swaps are central to a plan to make demographic changes to parts of Syria, realigning the country into zones of influence that backers of Bashar al-Assad, led by Iran, can directly control and use to advance broader interests. Iran is stepping up its efforts as the heat of the conflict starts to dissipate and is pursuing a very different vision to Russia, Assad’s other main backer. Sustainable political change are only possible when it is home grown even if existing regimes are defeated militarily. Syrians are the only ones who can and should draw their future and part of that is looking at the role religion is allowed to play in public life. This is not just about Assad it is also about dealing with millions of Syrians who believe that ” Islam is the solution”. You may not be able to change people’s beliefs but you can change their lives thru education and economic initiatives. The only way to restrain religious zealots is drawing a consutution by an elected parliament then put it on for a referendum, and that is a tall order and it can not be done until the regime is forced to share power and allow elections. Bashar was cowned a king in 2000 and he should not remain a king if Syria is to be a republic. What caused the war are the assadists and the Islamists and that is why most efforts today are focused on imposing a truce between the two factions. Most Syrians are not in love with either even if they like one side more than the other. The two factions are ironically similar in their intolerance of dissent and their refusal to compromise. I concur with Ghufran about Hopeful’s hard-to-swallow conclusions. I think Joshua has made a good case, but I still disagree with him on Obama’s Syrian “legacy”. For all intents and purposes, Obama gave Russia and Iran carte blanc to do what they wanted in Syria. Obama did NOTHING to make their meddling in Syria more difficult. Additionally, Obama’s decision to quit Iraq was a big mistake, especially when we realized we still needed a military presence to help curtail ISIS. Most of ISIS’s success was attributed to our leaving Iraq. All-in-all, I see Trump putting a lot more pressure on Russia and Iran. Trump will not be a pushover like Obama. Calling the 6 years invasion by mercenaries from around the world to Syria a failure of America? If anything it is called a success of destroying a nation at a cost payed by the Gulf,it is called a success of creating the worst humanitarian disaster worldwide by pretending of not interfering while training mercenaries in Turkey and Jordan for years,it was the devious success of sending half the population of Syria as refugees world wide and displacing the other half internally. It was a success of depriving millions of children of education,traumatising a whole generation,maiming thousands,killing nearly half a million,creating hundred thousands of orphans and widows. That was pure destruction to the infrastructure and to the fabric of the Syrian society,that was a story of success of politicising Islam and using it as a leverage for destroying Iraq and Syria. USA didn’t fail at all with this new dynamic of creating proxy war without loosing one soldier,that was a success of evilness,that was the success of creating multilayers of inferno in the ME. -I would be wary about discounting the Sunni forces, they will most likely fight on. A territorial war can be converted in a terrorist war. -The U.S. had some options to simply support enough of the opposition to force a stalemate and a defacto partition. That might have spared many lives. It would have meant supporting ‘unacceptable’ elements but the CIA managed that in Afghanistan. -Hasn’t Syria intensified the Sunni-Shiite, Iran-Saudi conflict, pushing it to regional war? Hasn’t it laid a pattern of mass murder and exile and not even conquest as the path of these conflicts? It is not in the interest of the U.S. to take sides in civil wars or regional wars but it also not in the interest of the U.S. to see an entire region of the world consumed by violence and bloodshed. Doing nothing is a fantasy. We will always have some interests at stake. It’s a canard to suggest the American path is land an army, that was never a strategy anyone suggested for Syria. This tragedy will continue to evolve. All the players in the Northern Middle East have strategic goals of real consequence and that is a recipe for more war unless some convergence of interests occurs. Shouldn’t the U.S. at least be aware of that? Russia, Iran, Turkey, Syria, Iraq, the Kurds, doesn’t everyone of these states has a causus belli currently in play? Comment № 5 /could you assume responsibilities of the consequences and outcomes of your think tank, which caused the destruction of other nation?/ and № 10 /Calling the 6 years invasion by mercenaries from around the world to Syria a failure of America?/waiting for an answer from you! I would like to read more explanations on hopeful point 6. It is clear that in Banyas or Deraa the army was met with better armed organized insurgents who had nothing to do with the FB kids doing mini demos in damascus. An interesting read, thank you. Considering Mr. Landis’ career as an American diplomat this is a fairly coherent piece. It recognizes the folly, and danger, of continued support for the fragmented “revolution” in Syria. Attributing benign or even noble motives for America’s intervention, despite much evidence to the contrary, is to be expected in this case. But taking the piece at face value, what does it say about America’s ideology and the state of mind of those aggressively promoting it from the corridors of American power? If America is a kind of bungling, global Keystone Kop spending billions (or trillions) of dollars funding proxy armies, invading countries and threatening many more, even though all these projects result in more death, more destruction and more instability and polarization while fuelling the very powers America claims to be fighting against, this is cause for great concern. For these are not “conventionally rational” people. Indeed, they seem almost insane, completely detached from reality. Any sources for this claim?